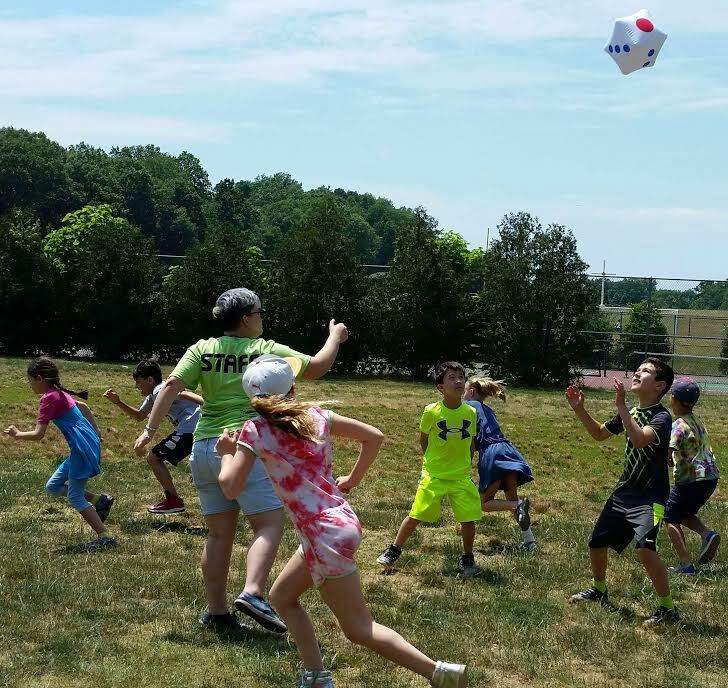 In this 21st-Century spin on that old camp-game favorite, Spud, campers scatter just seconds before their campmate catches the inflatable dice and the game gets underway at Little Ivy Academy’s RealScience! & Express Yourself! camp here on our Campus @ St. Joseph’s Regional High School. You & your family are invited to join us this Saturday, April 29 for Little Ivy Academy’s Discover Summer, Camp FunDay. You can have a coffee, meet Little Ivy’s director & camp staff. Your kids can. . . Film a Digital Special Effect . . Invent an Electronic Smart Gadget. . Build & Program Robots. . Create & Code Video Games & Apps. . Animate a Digital Story. . and more. . .
. . . just as kids ages 6-14 will do in Little Ivy Academy’s 2017 Summer Camp programs at a campus near you! 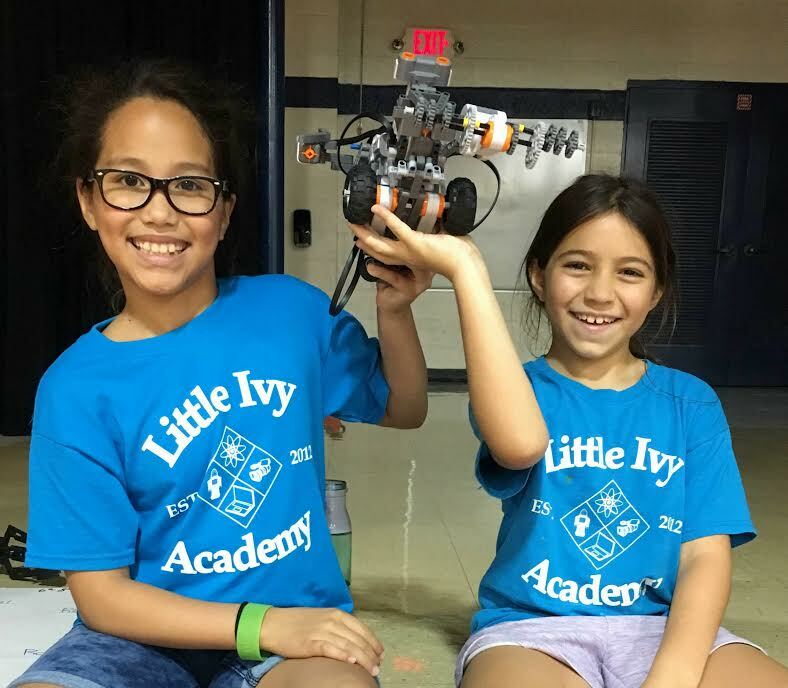 These campers are all smiles as they hold aloft the robot they built and coded, just moments after placing first in a “battle bots” challenge at Little Ivy Academy’s RobotMakers summer camp week. Discover Summer, Camp FunDay is this Saturday, April 29, from 10 am-2pm at Little Ivy’s Campus @ St. Joseph Regional High School, 40 Chestnut Ridge Road, Montvale. No RSVP is required. You’ll find directions at www.littleivyacademy.com/openhouse.html. As always, you’re welcome to contact Little Ivy Academy Director Erich Bassler with any questions you might have by e-mail at info@littleivyacademy.com or by phone at 201-444-8400. Discover More about Little Ivy Academy’s summer camp programs– including how you can extend your child’s camp day, too— www.littleivyacademy.com/summercamp.html.